If you’re running your own ad campaign, you may be wondering what makes the perfect landing page. Well, unfortunately, there’s no exact formula. However, I can tell you that a good landing page is one that converts your clicks into customers. Despite there being no exact formula, there is a world of insights that will help you turn more of those clicks into customers. I’m going to go through everything you need to know about landing pages and how you can increase your conversion rates. It’s simple, a landing page is a standalone web page created for a marketing or advertising campaign that serves the purpose of reaching the campaign’s goal. Whether that be a downloadable asset, driving leads or promoting a new offer. Landing pages are designed with a single focus of converting users that enter that page. 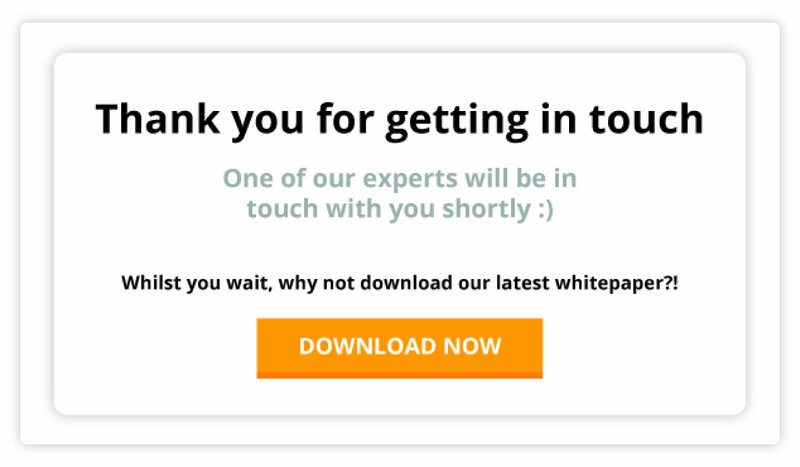 Why should you be using landing pages? Landing pages will increase your conversion rates when running a PPC campaign, that’s the short answer. 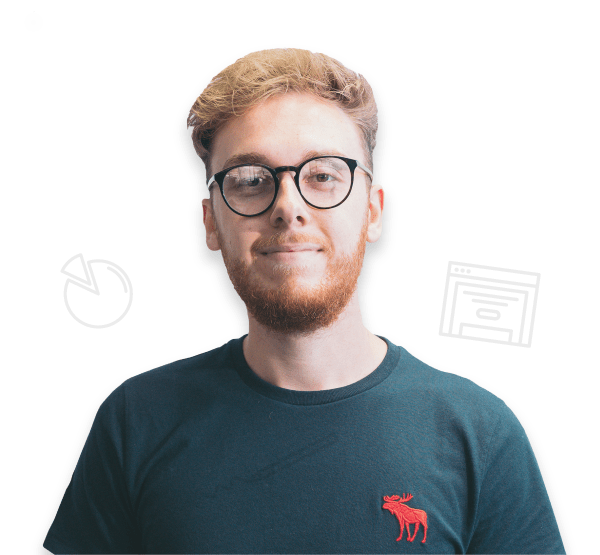 Due to landing pages being a single page it allows you to mould and customise the page around your visitors. Using your homepage as a landing page can limit your conversion rates due to it being designed with a more general purpose. They can also easily be altered and split tested, something you don’t want to be doing with your homepage. Changing elements and split testing your landing page will allow you to see what works, and what doesn’t! Keep progressing with what works, and you’ll look at your conversion rates consistently rise. Now you know what a landing page is and why you need one, here are 10 inspirational ideas you can use for your next landing page to skyrocket conversion rates! 1. The power of video – Videos speak a thousand words. Using a video on your landing page will not only increase the time people spend on your site, but it will also build that trust every brand tries so hard to create. There is no better way to show off your service through video, plus people love video – which is why 55% of people watch a video online every day. Try using your video next to a call-to-action, courtesy of EmailOctopus.com. 2. Use powerful words – Landing pages are all about first impressions, make the best possible first impression with persuasive copy. Writing compelling copy is more than just using certain words, it’s about structuring your copy to capture your visitor’s attention and emotion. Evernote nails their strong copy using impactful words that grab your attention but also leave you wanting more. 3. Match up your copy – while running your ad marketing campaign and landing page, you need to ensure you are keeping everything consistent. Your ad copy entices people into your landing page, so ensure you are offering the same value in your landing page. There is a reason they clicked your ad or social ad, so don’t let your landing page leave them in the dark. As you can see, simplicity and consistency at its best. 4. Use killer call-to-actions – it’s time to change your ‘submit’ button to something people can’t help but click! CTAs (call-to-action) are incredibly important – they are the difference between a bounce and a conversion. Keep it short and sweet, colourful and valuable. 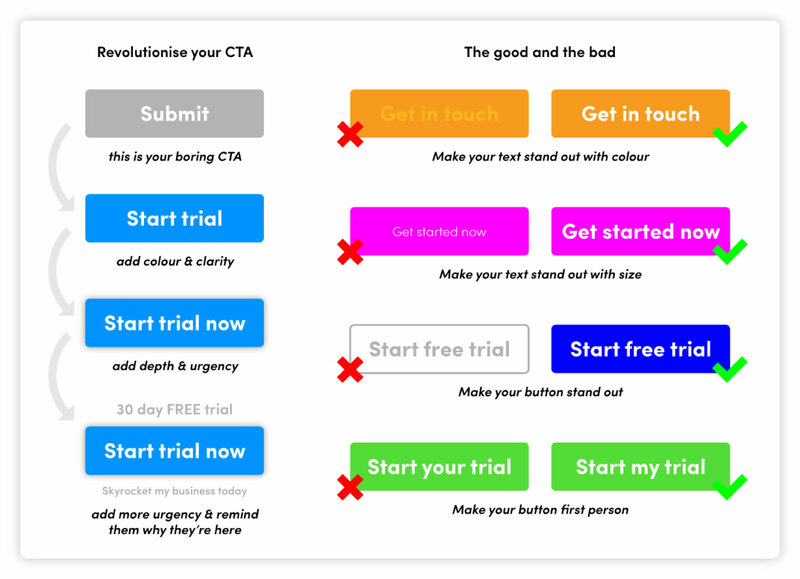 Take a look at our guide below on how you can improve your CTAs. For more insight into how you can nail your CTA buttons, visit GoSquared’s article. 5. Go fully responsive – we’re now in the day and age where if you’re not pushing out content that isn’t fully responsive, then I hate to say it, but you need to get with the times. 50% of all search queries are on mobile, so make sure your lander is fully functional and straightforward to convert on mobile, tablet and desktop. You can use responsinator to ensure your landing page can convert on all devices – thank me later. 6. All above the fold – if you’re unsure, ‘above the fold’ is the section of your site that people land on and see without scrolling. So, you need to ensure your important info is here. When I say ‘all’, I don’t mean put everything above the fold. This will be your visitor’s first impression, so keep your title, hero image, form and trust signals at a minimum. 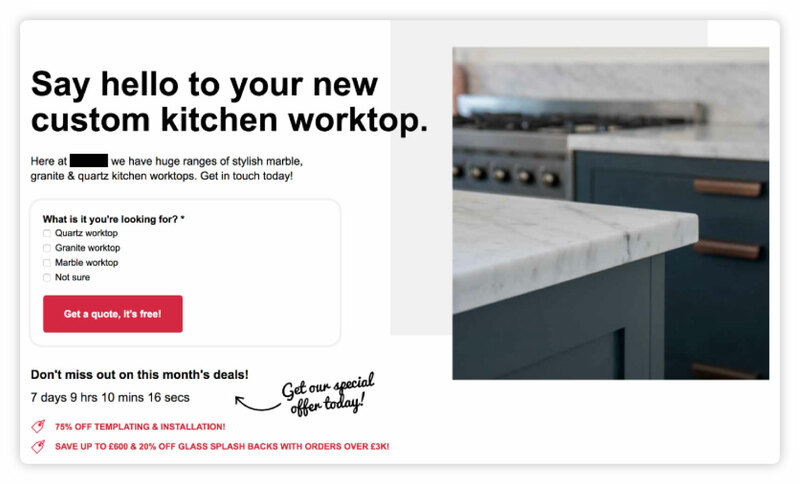 Here you can see a great example from one of our clients of prioritising elements for above the fold with a form, hero image, special offer and the title. Here you can see the difference between a 1 and 2 step form. 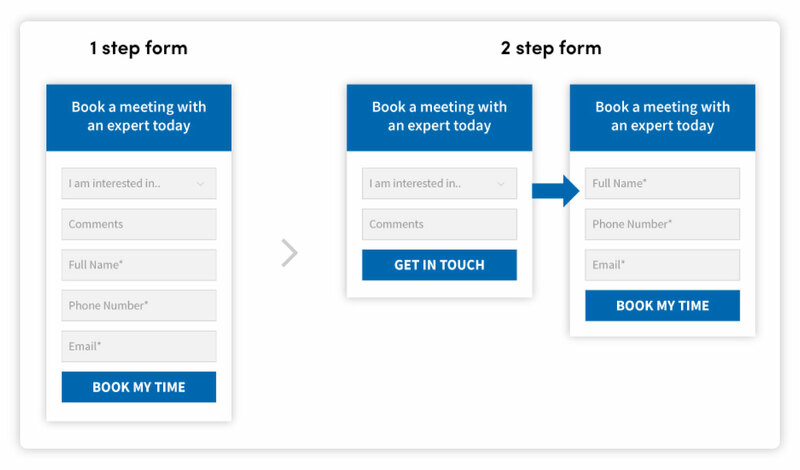 2 step forms tend to perform a lot better when it comes to conversion rates. 8. Show off your pricing – do you charge a fixed price for your services? Then why are you not showing this off to your potential customers? I could ask more questions, or I could let you know that this can really increase your close rate. If users convert knowing your prices then that’s half the job done, it’s a fantastic way to ask a qualifying question without actually asking anything. As you can see, 8% of clicks were on the pricing button – showing the real value of pricing sections and how they can drive conversions. 9. Offer value in your thank you page – Don’t stop offering your users value once they have enquired. Continue to win them over by creating a useful and valuable thank you page, don’t merely just thank them for enquiring – offer them a free download, a free trial, an exclusive insight, anything! They’ve spent the time and trust to enquire, so go that step further for them. The majority of visitors will enquire with your competitors, so stand out from the crowd with the added value after converting. 10. Create epic testimonials – One of the greatest ways to build trust in your audience is with testimonials and case studies. Why not combine the two? By connecting your best case studies with testimonials you’re really showing your worth to your visitors. The perfect way to provide value to your users with evidence and numbers to back it up. I hope this has helped you in your quest for building the perfect landing page. Take a look at what Bulldog’s landing pages can do for your business – take it away Andre!